A macular pucker is a wrinkle of the retina. It can cause folding, creases or bulges to form on the center of the retina. When the central retina does not lie flat against the back of your eye, your vision may look wavy, or you may have trouble distinguishing details. Your central vision may also be blurry or appear as a gray or cloudy area in your central vision. Your vision is blurry or mildly distorted, and straight lines may appear wavy. A gray area in the center of your vision or even a blind spot may appear. 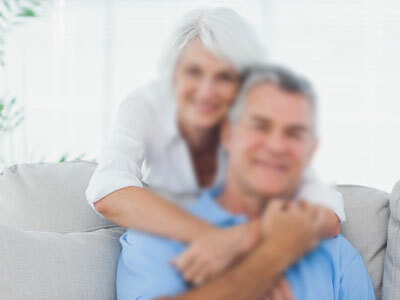 Increasing age is the most common risk factor for the development of a macular pucker. With increasing age, the vitreous gel that fills the eye begins to shrink and condense. This results in the gel pulling away from it’s strong attachment to the center of the retina. The gel pulling away is a natural process that usually occurs without any problems. However, sometimes a thin film of scar tissue can form that can result in wrinkling of the retina. Increasing age is the most common risk factor for macular pucker. Vitreous detachment, where the gel inside the eye pulls away from the retina. Swelling or inflammation inside the eye (uveitis). Serious damage to the eye (from surgery or injury). Blood vessels problems in the retina (such as diabetes or vein occlusions). A dilated eye exam is needed to diagnose a macular pucker. Your ophthalmologist will use special lenses to examine the retina. Special pictures called optical coherence tomography (OCT) aid in the diagnosis of a macular pucker. The OCT is a machine that non-invasively scans the back of your eye and provides microscopic images of the retina and macula. OCT scans can diagnose macular pucker as well as other retinal diseases. Treatment of macular pucker depends on your symptoms. If your symptoms are mild or you have no symptoms, then you might not need any treatment at all. Your ophthalmologist will recommend regular eye exams to monitor for any worsening over time. Eye drops, medicine, and laser procedure do not help if you have macular pucker. If you are having significant symptoms that are affecting your daily life, then your retina surgeon may recommend a surgery called vitrectomy with membrane peel. Vitrectomy surgery is the removal of the vitreous gel with peeling of the scar tissue off the surface of the macula. This allows the wrinkle to flatten the macula, returning it to its proper position and orientation. Improvement in vision can take several months and despite surgery, your sight may not be quite as good as it was before macular pucker. Like any surgery, vitrectomy surgery has risks. Glaucoma, or increased eye pressure. Cataract, cloudiness of the lens. Your ophthalmologist will talk about these risks and how vitrectomy surgery may help you. of a wrinkle or bulge on the surface of your retina. This may affect your central vision, causing blurriness, waviness, or distortion. If symptoms are mild, treatment may not be necessary. Regular exams will be needed to monitor for any worsening. If you have significant symptoms, you may need vitrectomy surgery to flatten the retina.